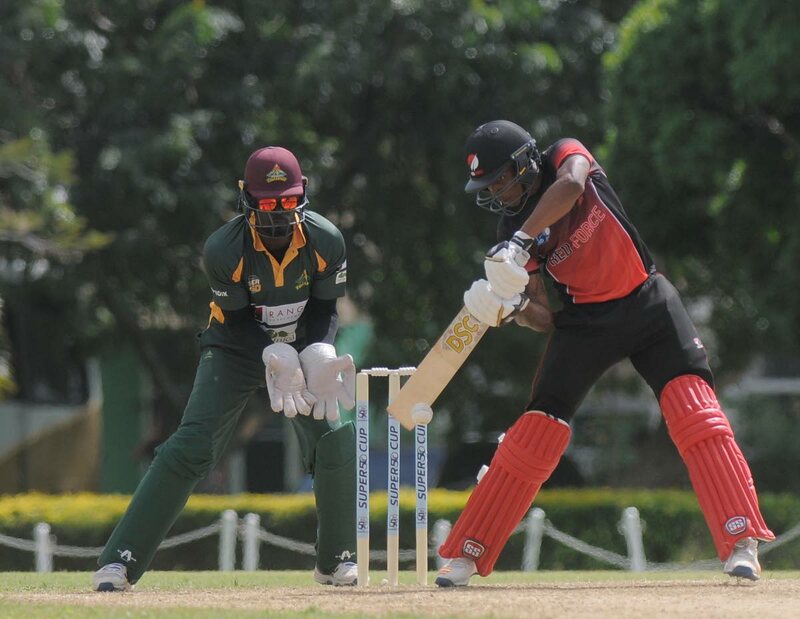 Red Force batsman Tion Webster plays a shot against the Windward Islands in the Regional Super50 competition. THE trio of Evin Lewis, Jason Mohammed and Sheldon Cottrell will try to make one final impact when the TT Red Force aim for their fourth consecutive win in the Regional Super50 tournament today. Red Force face Hampshire at the 3Ws Oval in Barbados from 9 am with TT hoping for another positive result after beating the English country team by 75 runs in their earlier meeting. This will be the last match of the tournament for the batting duo of Lewis and Mohammed and left-arm fast bowler Cottrell, as they head to Zimbabwe to join the West Indies team competing in the World Cup qualifiers starting in March. The Red Force trio will be replaced by spin bowler Jon Russ Jagessar, bowling all rounder Rayad Emrit and batsman Kamil Pooran. After starting the tournament with an embarrassing 171-run defeat to Barbados Pride, the Red Force have won three matches on the trot and look in good position to make it to the semi-finals. TT eased to a nine-wicket win over Combined Colleges and Campuses Marooners, before getting past Hampshire by 75 runs, and then beating Windward Islands by four wickets. Lewis, Mohammed and Cottrell will be missed as they have all performed creditably. Lewis has been the top Red Force batsman, scoring 226 runs in four innings including two half centuries and one century at an average of 75.33. Mohammed has also been in good nick with 95 runs in three innings at an average of 47.50 and one half century. Cottrell has given solid support to the spinners in the tournament, taking seven wickets in four innings. A win for the Red Force today will take the team one step closer to the semifinals. The top two teams in each of the two groups will qualify for the semifinals. Reply to "Red Force go for fourth victory"